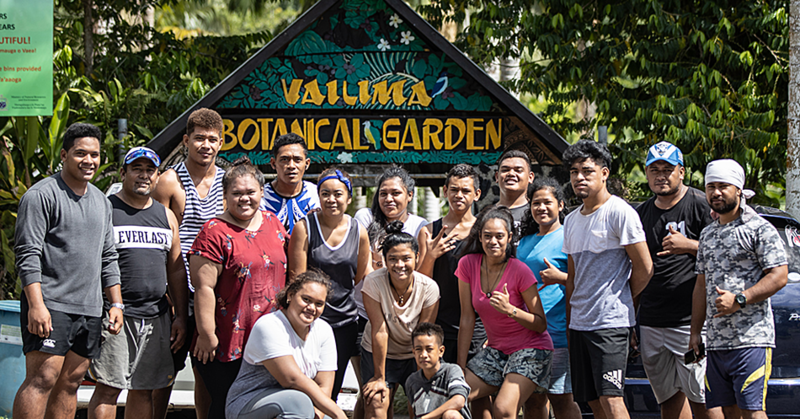 Government representatives from Samoa, Fiji and Papua New Guinea together with international stakeholders have launched a mission to protect Pacific coconut diversity and associated livelihoods from climate change impacts and other threats. 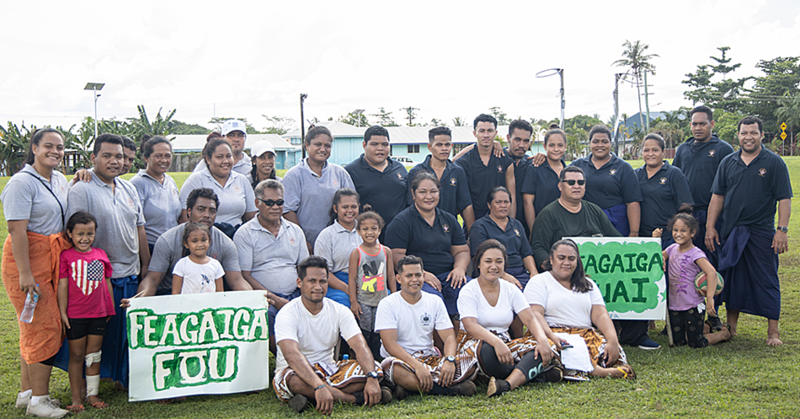 The mission is being coordinated by Bioversity International and The International Coconut Genetic Resources Network (C.O.G.E.N.T) in partnership with the Pacific Community (S.P.C) through its Centre for Pacific Crops and Trees. 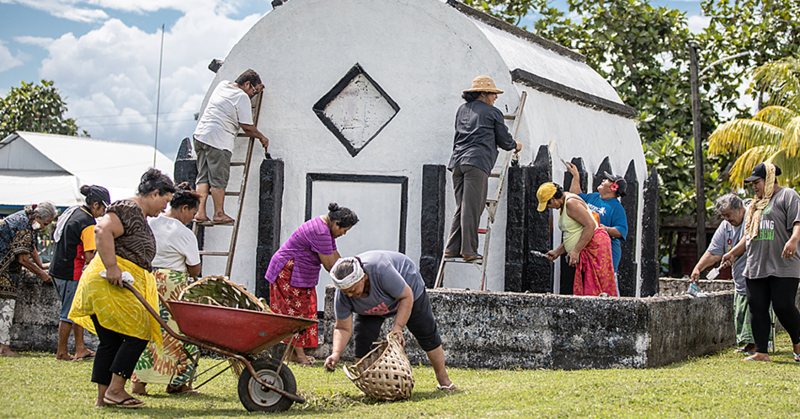 Getting under way now, the three-year project, Upgrading and broadening the new South-Pacific International Coconut Genebank, aims to conserve Pacific coconut genetic resources for current and future generations. The project is funded by the Darwin Initiative, a UK government grants scheme which helps to protect biodiversity worldwide. The coconut is an important livelihood and food security crop for more than 10 million farmers who cultivate coconut palms worldwide on around 12 million hectares of land. 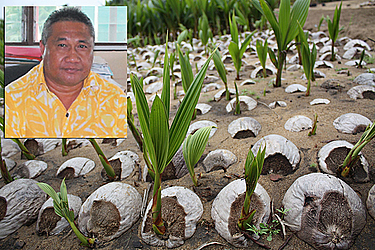 However, not all representative coconut biodiversity is conserved, and in many Pacific islands, this is already seriously threatened by soil salinization and climate change impacts, with potential sea level rise a looming threat. Through the project, a new International Coconut Genebank (I.C.G) is to be established in Papua New Guinea where an existing I.C.G-S.P facility is believed to be threatened by a phytoplasma Bogia Syndrome disease with symptoms appearing similar to the lethal yellowing disease. A proposed transfer of the I.C.G-S.P facility, partly supported by the government of Papua New Guinea, from Madang to Punipuni, with a duplication back-up planned in Samoa and Fiji, is also a unique opportunity to collect and protect endangered cultivars. “The Darwin initiative is important for sustainability of our local genetic diversity for future prosperity in terms of utilization for livelihood security, and to address the current threats posed by pests and diseases and global warming,” Alan Aku from Kokonas Indastri Korporesen (K.I.K) in Papua New Guinea said at an inception workshop for the project in Fiji. The project will amend the current list of coconut varieties held in the ICG-SP with new varieties selected from other Pacific countries based on validated criteria. A partner-panel of experts from international, regional and local organizations will collaborate to identify the most threatened coconut varieties on habitat loss over the next 40 years. A zone of ‘most-endangered areas’ will be established and explored for identification and characterization of unknown or “orphan” coconut varieties. The selected rare varieties collected will then be safely transferred to be conserved within their genebanks in Papua New Guinea, Fiji and Samoa sites. Another key expected outcome of the project is building the capacity of genebank staff and training young scientists in coconut breeding and conservation. An inception workshop for the project last month brought the partners together, including C.O.G.E.N.T/Biodiversity International; the curator of the South Pacific International Coconut Genebank, hosted by the Cocoa Coconut Institute (C.C.I) in Papua New Guinea (P.N.G); SPC; the Centre de coopération Internationale en Recherche Agronomique pour le Développement (C.I.R.A.D); as well as representatives from the governments of Fiji, Papua New Guinea and Samoa. The Global Crop Diversity Trust (G.C.D.T) and the Asia Pacific Coconut Community (A.P.C.C) are also involved in the new project.